The figures are damning when it comes to workplace stress, with Medibank estimating that it costs the Australian economy almost $15 billion a year, with a direct cost of $10 billion to employers. In fact some estimates suggest that overwork and stress may cost $30 billion a year, which at that time was equivalent to half of the total bill from workplace injury. It’s for these reasons that the health and wellbeing of your staff is such a good investment, directly reducing the cost to your business as well as improving employee happiness and productivity. Absolutely Corporate has a wide range of services which are ideal for reducing workplace stress or helping your staff manage stress efficiently. Ongoing stress is recognised as causing headaches, stomach upsets, high blood pressure, chest pain and also reducing sleep quality, with further links to increased risk from a number of diseases, anxiety, restlessness and depression. For these reasons massage is an ideal treatment for stress, with the physical benefits of relaxed muscles, improved motion, and enhanced circulation. Other benefits also include reduced cortisol and insulin levels, proving very effective in stress release. With ongoing and constant stress incredibly dangerous to health it only makes sense that regular massage would be an ideal workplace wellbeing solution. 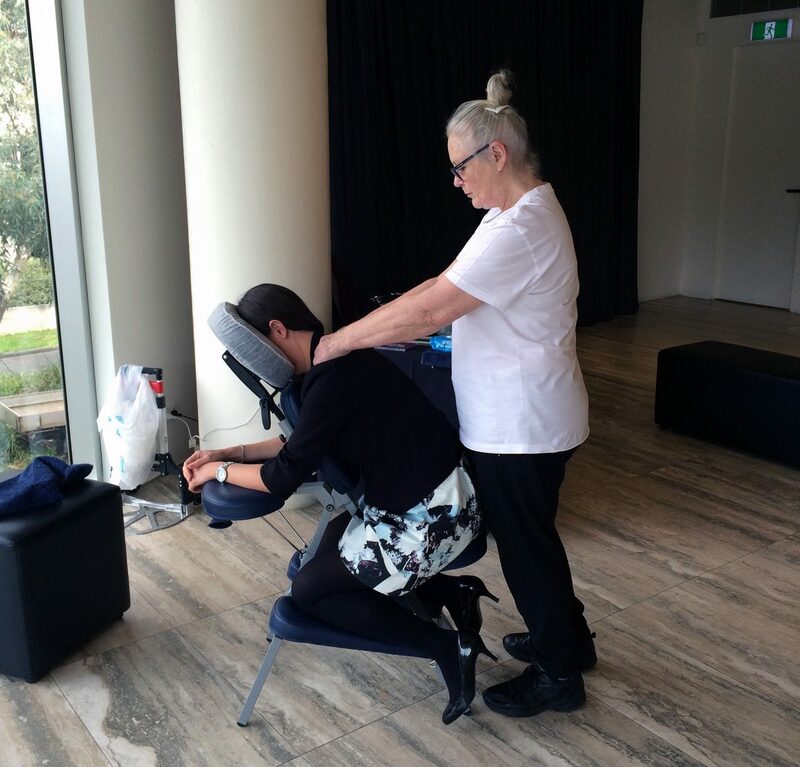 Our Corporate Massage is the perfect solution, offering flexible workplace seated massage, which has proven more popular than traditional massage. Massage therapy is well known for its stress relieving properties, not to mention releasing endorphins, serotonin and dopamine, while boosting mental performance. Our Corporate Massage services can be specifically tailored to suit your exact needs, from the duration and frequency, through to the number of masseurs provided and where we set up at your workplace. Only a small space is required for seated massage, while still providing the full benefits, ensuring minimum disturbance to your workplace. If you’re interested in a mixed or non massage based Corporate Wellbeing program we also offer Corporate Yoga, Mindfulness Meditation, Corporate Fitness and Challenges, and Workplace Stress Management. 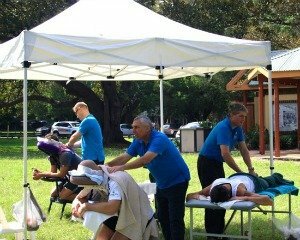 Please do not hesitate to Contact Us on 1300 217 119 or send us an email info@absolutelycorporate.com.au if you’d like to organise a Corporate Event Massage or have an enquiry.